Every blogger do love to earn some extra money from their blog.As we spent plenty of our valueable time behing it so it's always a great thing to earn some extra bucks with our passion for blogging.There are lots of ways to earn money from a blog and you can monetize your blog in different ways to get some serious income.There are various advertising platform available for bloggers to get some money with their blog. For some blogs PPC Ads work great, for some affiliate ads work and for some CPM Ads work. We think you have already tried both PPC and Affiliate Ads, but now give a try to CPM Ads. CPM is an advertising term which means Cost Per Impressions it is one of the best marketing strategies in terms of web traffic. From a Publishers point of view how much a common blogger could earn from thousand page views that he receives from his Blog, some CPM ad network pays $3/1000 Impressions while other pays $4/1000. With CPM Advertising Networks you can earn without even worrying about a single click, mostly visitors avoid advertisements this is the reason why publisher remains unable to utilize their earning opportunities. For instance, your blog has 800 unique visitors wit thousand page views then with CPM advertising networks you can earn 3 to 4 dollar without any stress whatsoever. Following are the few reliable CPM advertising networks that would never let your blog down they are worth considering. It is most reputable CPM advertising Company which only accepts those blog which has decent Traffic of about 500,000 monthly Impressions. If you got selected as a premium publisher then chances are extremely high, that they might give you extraordinary rates with payment method of your own choice. 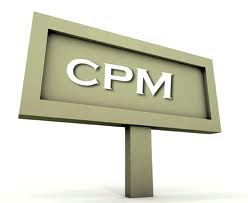 Another reliable CPM advertising program which provides quick payment, but you can also track your impressions from their publisher control panel. They don’t agree to take adult or pirated content, so you website should produce fresh and healthy posts, if you wish to attract potential advertisers. However, it doesn’t accept those websites which generate less than 3,000 page views per month. CPM Rate: Varies on quality of your website. To be honest, this provider is pretty average if we compare it with above CPM providers i.e. Value Click and Tribal Fusion. It does provide decent user-friendly experience with stunning CPM rate but lacks consistency. However, you should try it out may be it you get lucky with it. Trafficrevenue.net: It i one of the best CPM Advertising website which is recommended by most of experts. You can make $10 per day, if your site is reputable enough while payment will be made through PayPal. CPX24.com: It is a perfect CPM website if you have a website with low traffic. It pays you up to $2 per thousand impressions and pays you via PayPal. Paid-to-promote.net: It’s another alternative for Small publisher through it you can get up to $8 dollar per day depends on your site. Note: These ad networks may also offer CPC (Cost Per Click), CPA (Cost Per Action) or other formats of ads and comes in various payment method. Some of them also have a minimum requirements in terms of site traffics. Be sure to read the FAQ thoroughly before get started. CPM advertising networks are getting more popular these days because getting a genuine AdSense account is getting extremely difficult cause of extreme strictness from adsense. Therefore, people are using their Facebook pages to attract audience to their blog and hence earning tons with CPM publishers. According to the sources advertising giants like AdSense, Infolinks and BuySellads are protesting against CPM but due the increase in its demand it is still available for Bloggers.So star earning money with your blog. Hi! I am currently using Adsgadget and they are the only ones who earned me money so far. THey pay per impressions and per conversions. 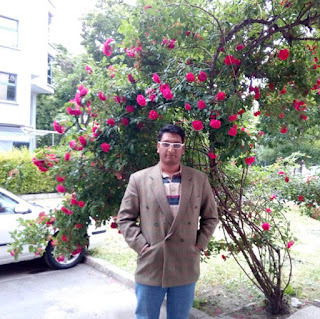 i get 1000 page views daily..what will be the best cpm fr me? I’m using adtomatik for the last two months and got very good results, highest fill rates and better ecpm than others ad networks.